To look at Alice is like a mini daddy, she has my eyes but the rest is all Andy. But, what she does seem to have inherited from me, is my logical mind. 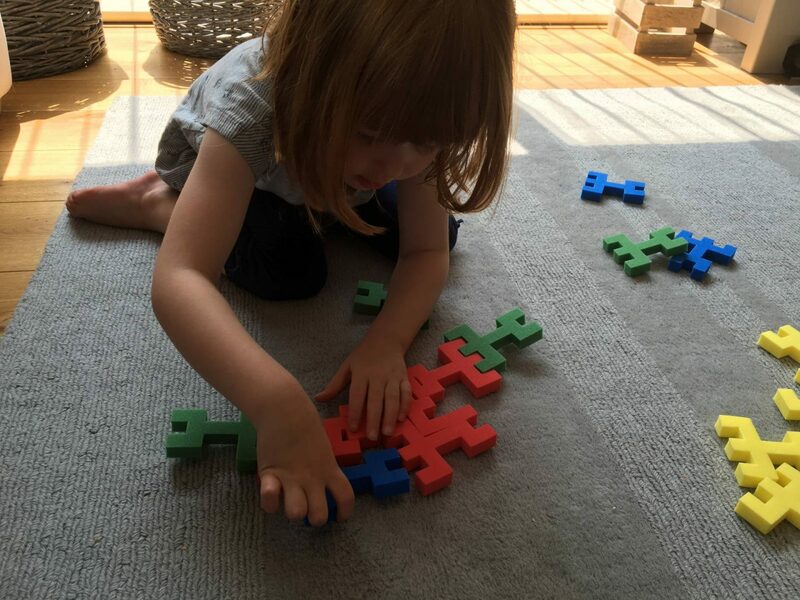 She loved puzzles from a really young age and still does now. She likes toys where she has to work out how they go together. So, when Acropats got in touch to ask if we would like to try them out, I knew they would be perfect for Alice. They are recommended for age three and over, therefore I waited for a time when Holly was napping to get them out for Alice to play with. 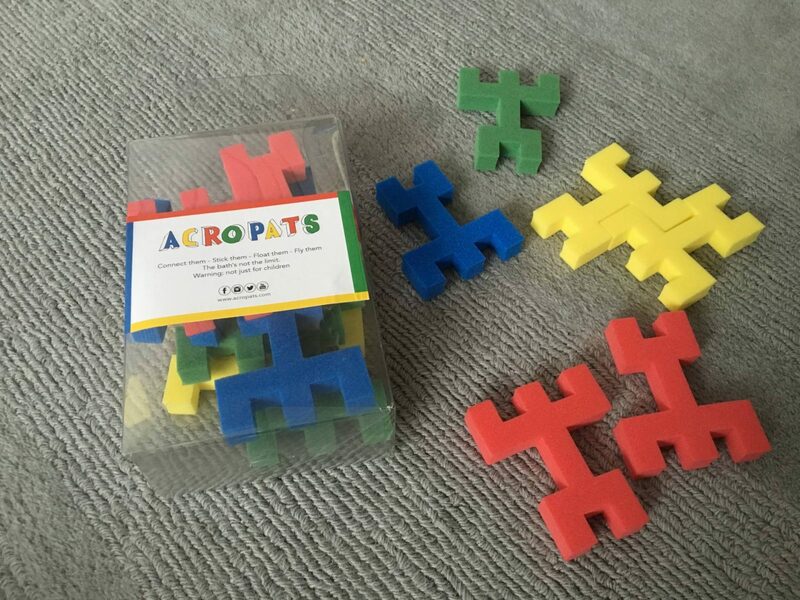 Acropats are small figures which build into all sorts of patterns, shapes and situations. 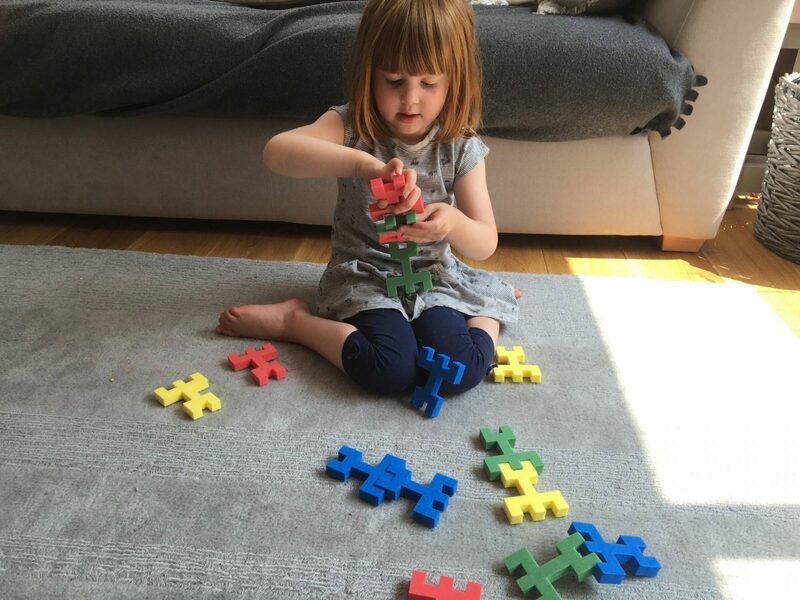 Alice loved all the different colours and quickly worked out how to slot them together, it was a bit like a game of tetris! 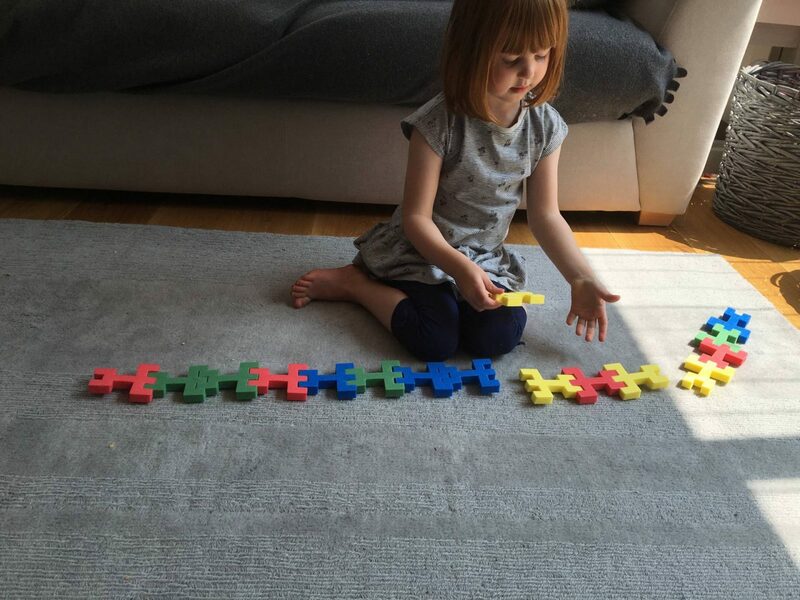 To begin with Alice made a long line slotting them together and thought this was great fun. Then she realised that she could stand them up as well. This was a bit tricker, trying to slot them together and stand them up. I have to remind myself that she is only three years old. I love the look of concentration on her face and how happy she was when she did it. There is nothing I love more than seeing my girls work something out and not give up. They never seem to get bored and move on. Acropats are also great as a bath toy, they float, stick to the walls and don’t get mouldy. Which was great to hear, I hate it when bath toys do this! I decided that they would be fine for Holly and Alice in the bath, as they are constantly supervised and Holly is past the stage of putting things in her mouth. 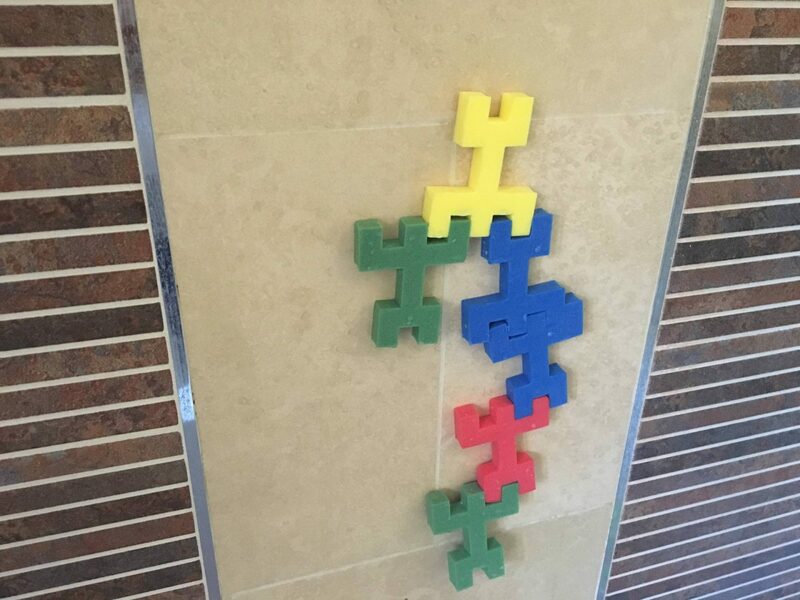 Alice loved sticking them to the tiles and she said it looked like men climbing up the wall. Holly was joining in too, I love it when an activity brings them together. 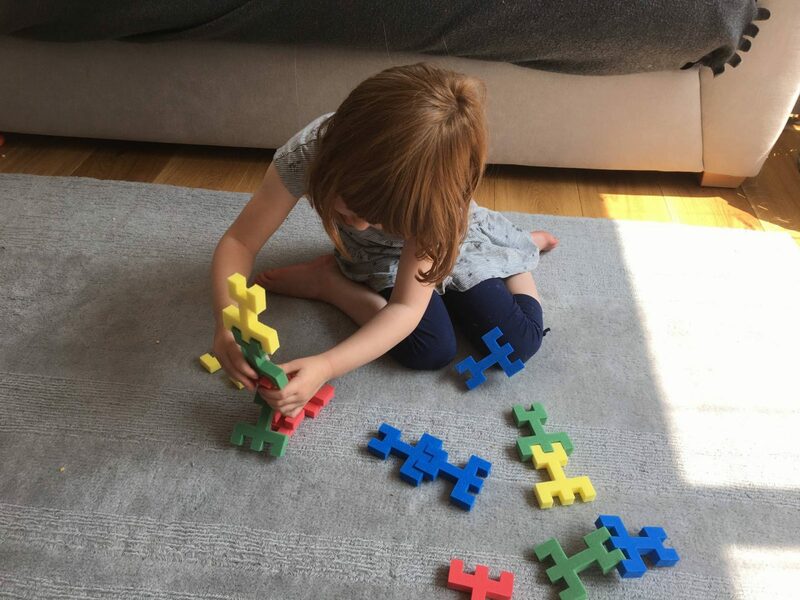 To purchase a set of acropats click here, where you can pick up a box of 16 foam shapes in a mix of four colours for only £7.99. Disclosure: I was sent a sample pack in exchange for an honest review, as always all thoughts and opinions are mine. Previous Post: « Review: The Dinosaur That Pooped Books…The McFly Boys! These look fab and a great price too . I love how kids don’t give up on working things out. My son is currently trying to slot his toy coins into his laugh and learn piggy bank and will sit and try over and over again. 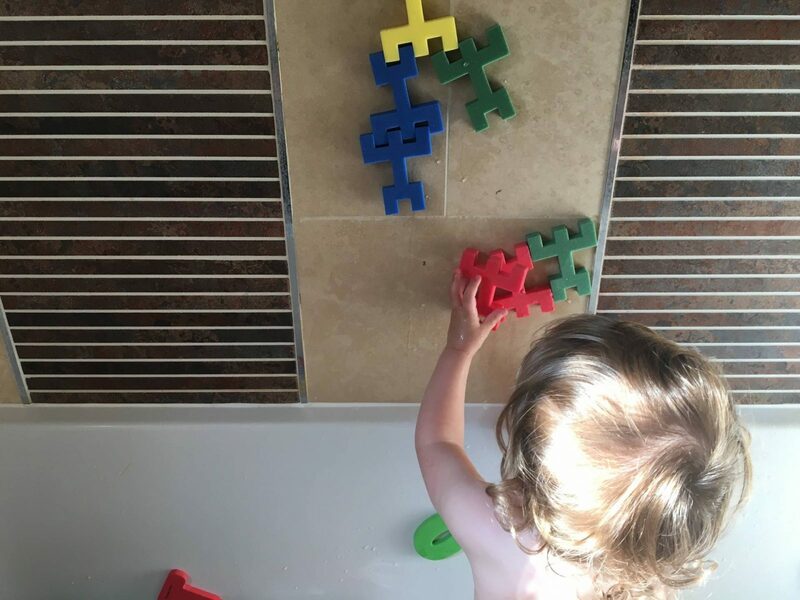 What an awesome thing to play with in the bath – fab idea and looks like lots of fun! I may get this for my kids. They love bath toys. Oh these look great, I like the fact that they are quite a freeform puzzle rather than rigidly sticking to a pattern or picture. I’m going to look out for these. These look awesome, another stocking filler me thinks! Acropats would be perfect for my little sisters birthday tomorrow, she would love the colours. What a great brand. These look so good. A multi functional toy!! Brilliant.